To reduce the growing proportion of new HIV infections among children, Nigerian journalists have been called to increase reports which promote issues bordering on the Elimination of Mother to Child Transmission (eMTCT) of HIV. Journalists Alliance for the Prevention of Mother to Child Transimission of HIV/AIDS (JAPIN) in Calabar, Cross River State, made the call recently during a three-day workshop it organised to assess individual and collective efforts towards eMTCT of HIV with emphasis on communications through the mass media. 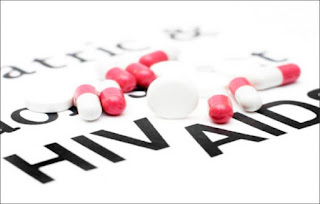 Lamenting that Nigeria has the second highest global burden of HIV/AIDS and also contributes the largest proportion of new vertically acquired HIV infections among children, JAPIN said stressed media’s role in halting the trend. The meeting brought together journalists from various media organisations across the country among other stakeholders in HIV industry who expressed worry over the country’s poor indices infant HIV infections. For instance, Dr. Sunday Aboje, National Coordinator, National AIDS/STI Control Programme, (NASCP) Federal Ministry of Health, in his presentation, said that Nigeria is still home to the highest number of children living with HIV/AIDS worldwide. Dr Aboje, who was represented by Assistant Chief Scientific Officer of the agency, Taiwo Olakunle, said “Nigeria has the second highest burden of HIV globally with 3.4 million people estimated to be living with HIV; 1.7 million HIV positive women and 380,000 children less than 15 years. “Nigeria has the largest number of paediatric HIV cases in the world. Nigeria also contributes the largest proportion of new vertically acquired HIV infections among children. However, Geoffrey Njoku, United Nations Children’s Fund (UNICEF) Communications Expert, expressed grave concern on many pregnant positive women who miss out on Anti-Retroviral Treatment (ART). The Communications Expert urged journalists to create greater awareness on the role of comprehensive package of PMTCT interventions in eliminating child HIV infections. The comprehensive package of PMTCT interventions includes HIV testing services (HTS), care of HIV-exposed infants comprising early infant diagnosis and linkage to treatment (EID/T). Others are family planning services, antiretroviral (ARV) and Cotrimoxazole prophylaxis for mother-infant pairs, cervical cancer screening and use of lifelong antiretroviral therapy (ART) for women. Dr Abiola Davies, HIV/AIDS Specialist and a senior representative of UNICEF, who was also one of the workshop facilitators, charged journalists to read wide, get accurate data on issues of PMTCT/eMTCT and attend training to obtain accurate information to authenticate their reports.